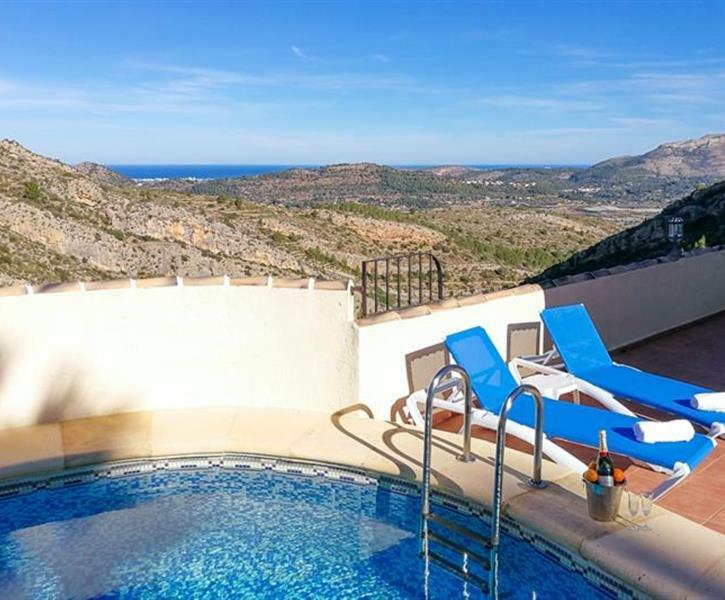 Njut av din semester på Villa Buena Vista på Monte Pedreguer; koppla av, njut av den privata poolen, den vackra utsikten över bergen till havet. Vänligen se veckosatserna för sängkläder, handdukar och städservice. Enkelsängar i andra och tredje sovrummen kan sättas ihop som en dubbelsäng. Beautifully situated at the top of the hill overlooking the mountains with a glimpse of the sea. Lovely pool and all facilities needed for your holiday. Definitely need a car there though. Wish we could have had longer to stay! It's very peaceful. Communication with Wil and Catherine was very prompt and reassuring. Definitely recommend. Just came back from a week in William's house. We loved it. The house lies in the hills and we enjoyed walking our dog in the surroundings. The terrace at the pool was great for grilling or a BBQ. There is an electrical table grill and charcoal barbeque. We found everything we needed in and around the house and liked going to Denia and Javea for the beach and shopping. The only problem was that one week was to short.... 😉 We hope to go back in the fall. 6 people fann denna recension hjälpsam.